Mineral deposits, in the form of potato-sized nodules, which cover wide areas of the world’s sea floor, are extremely important in structuring communities of deep-sea animals according to research published this week by scientists at the National Oceanography Centre (NOC). These nodules are of commercial interest for potential deep-sea mining because they contain a range of important metals, including copper, cobalt and nickel. This new study, in the Journal of Limnology and Oceanography, shows that the dominant deep-sea animals in a nodule field changes with nodule concentration. The implication of this is that successful conservation of deep-sea ecosystems in the event of nodule mining will require the preservation of areas with a full range of nodule concentrations, and not just the ‘low density’ areas that are least attractive to mining. Baseline ecological assessments like this are extremely important for informing the management of future commercial mining activities. Most of the world’s deep ocean floor is soft sediment. However, there are large areas that also have these polymetallic nodules scattered over the sediment surface. 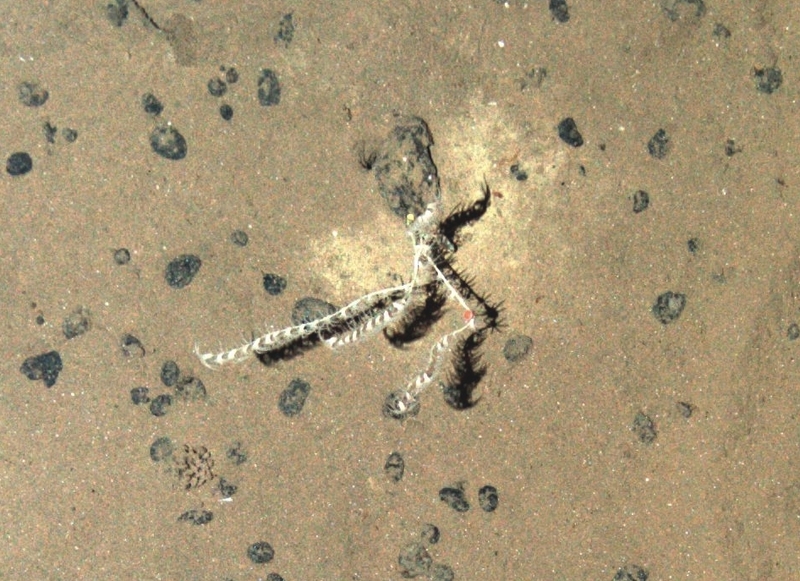 This study is focussed on an area in the central Pacific known as the Clarion Clipperton Zone, one of the most important areas for nodules in the world. Yet, the living environment of this remote area is poorly known. This study was based on data collected during a research expedition led by NOC scientist Dr Daniel Jones to the Clarion Clipperton Zone in 2015 on board the RSS James Cook. During this expedition, high definition photos were taken of the nodule field on the sea floor. This allowed the team to examine the animals present on each image and compare that with the concentration of nodules in that area. This research is one of the key outputs from the “Managing Impacts of Deep-sea Resource Exploitation” (MIDAS) project, funded by the European Union Seventh Framework Programme.